My dear friend Robert Nabulere flew in for a visit this week from North Carolina where he had spoken to the staff at The Billy Graham Training Center at The Cove. 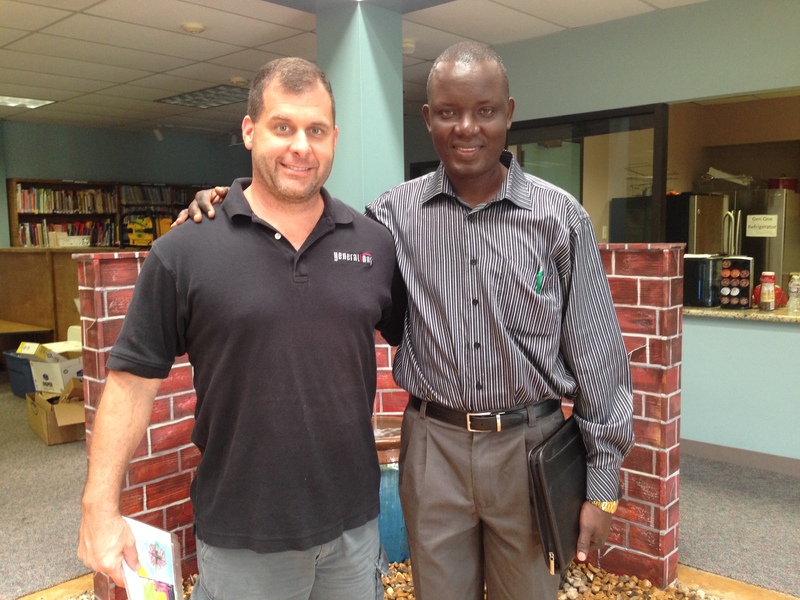 Robert is the pastor of Miracle Center Kawempe in Kampala, Uganda. 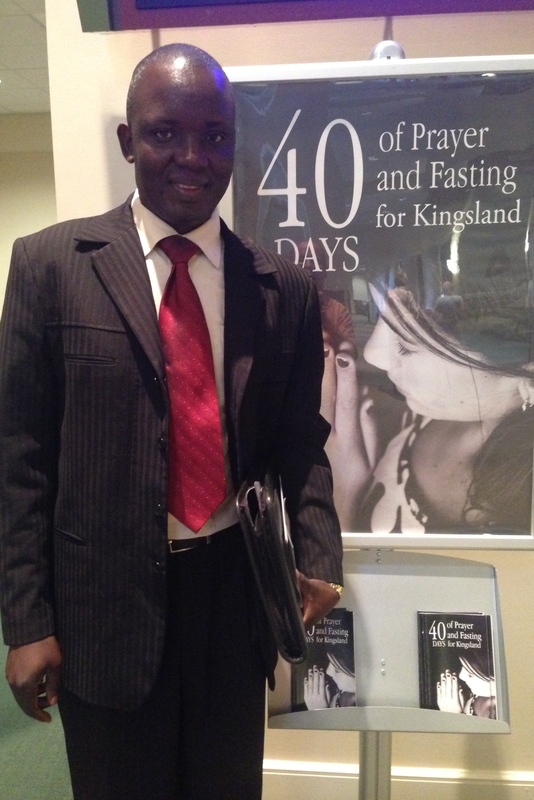 I always enjoy preaching at Miracle Center when I am in Kampala and regard it as my home church in Uganda. Pastor Robert has led the people of Miracle Center to care about and to serve their community. They are living out what it means to be Jesus with skin on in dark and desperate places. In 2008, Pastor Robert led the church to start Miracle Destiny School in one of the largest and poorest slums in Kawempe. This school is the only hope that kids in this tough slum will ever have to get a good education. During my first visit to the school years ago, Pastor Robert and I visited in the homes of some of the students. Every family I met was dealing with tough challenges, from HIV to subsistence living on a dollar a day. Miracle Center Destiny School started with a total of 16 students. Today, more than 250 children are enrolled in the school and the church has purchased an additional eight acres of land where they hope to start a secondary school in 2015. Pastor Robert envisions starting a university by 2022. He is dreaming big dreams in order to reach a generation of children with the gospel and a good education. 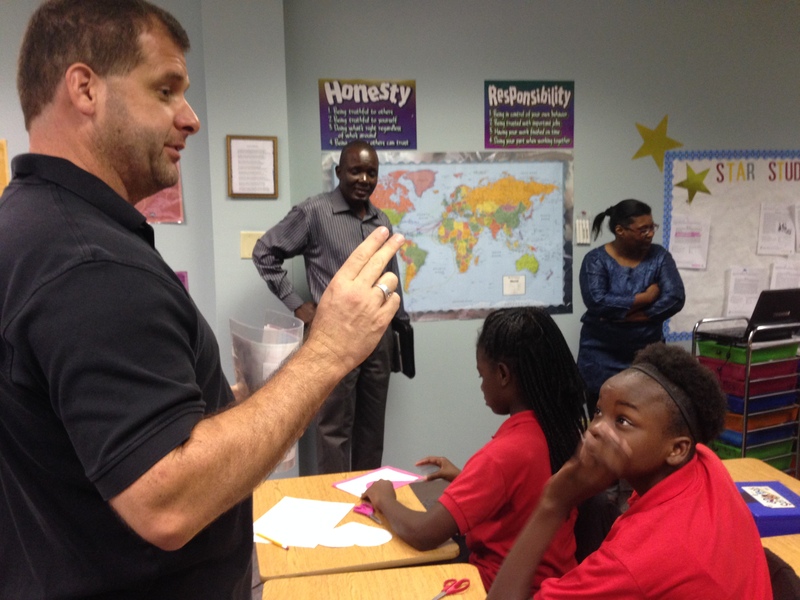 This morning, Pastor Robert and I visited Generation One Academy in Houston’s Third Ward. Mike Malkemes, the founder of this school for at-risk kids, and I became the best of friends almost eight years ago when Generation One was in its infancy. Like Pastor Robert, Mike has big dreams for helping kids in tough urban neighborhoods reach their highest potential in Christ. Pastor Robert shared his story with students at Gen1. He told them about being born and raised in Nangaiza, a tiny village with no running water or electricity. The students were surprised to learn that Robert never wore a pair of shoes until he was fourteen years-old. But, because he valued and wanted an education, he walked to school where he excelled in his studies and became the first in his family to go to college. During his freshman year, Robert heard the gospel and became a Christ-follower. He graduated from college in 1995 with a degree in Economics and Statistics. After graduation, he served on the staff of a church for ten years and in 2005 he and his wife Rose founded a new church called Miracle Center Kawempe. The kids at Gen1 listened attentively as Pastor Robert encouraged them to love God and value a good education and to pursue a college education. Pastor Robert told me that in January 2014 he will return to the village where he was born and raised to conduct a medical clinic for the people there. “The people of the village raised me,” he said, “and now I want to return to help them.” Robert was not a Christ-follower when he left his village and will return a different person, one whose life has been transformed by the gospel of Jesus Christ. I am thankful for Robert and his determination to inspire kids to love God, to dream big, and to care about others. Who would have thought that the boy from Nangaiza would one day pastor a church, start a school, and travel the world inspiring others to love and serve God. I can only imagine what God will do in the lives of the kids at Miracle Destiny School and Gen1 Academy because of the vision of men like Pastor Robert Nabulere and Mike Malkemes. It was a privilege to meet Pastor Robert yesterday. I received encouragement and a greater measure of faith when he prayed for our church. May the Lord continue to bless Pastor Robert. Amen. His visit encouraged and refreshed me. So glad he came to Katy. So excited to see this article you wrote about Robert…we went to his school and taught one day while we were in Uganda with Tonya, and then had the honor to eat lunch with Rose and Robert. He is a wonderful person who clearly loves God, and is living it out loud. Thanks for sharing his visit! Thanks. It was so good to see him again. He is such a great encourager.